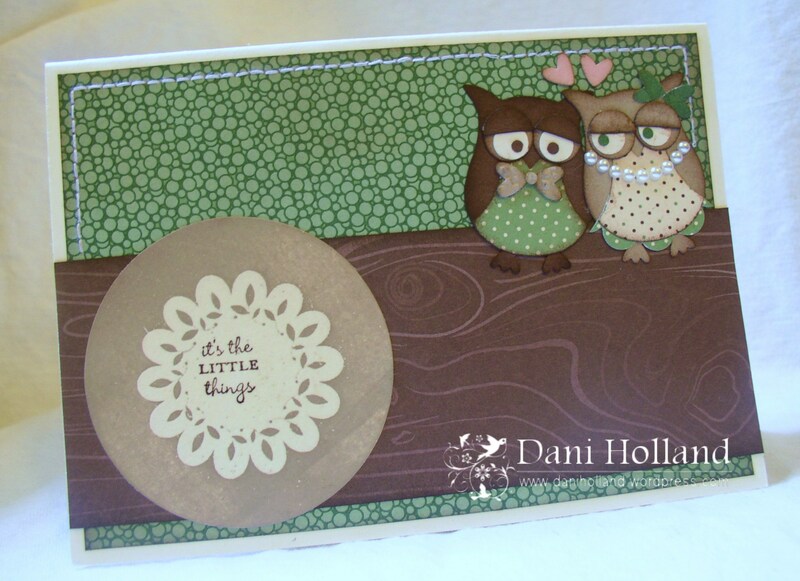 Accessories: 2 Step Owl Punch, Scallop Circle Punch, Basic Pearls, Brayer, Clear Embossing Powder, 2 Way Glue, Mat Pack and Piercing Tool, Circles Die No.2, Lattice Embossing Folder (I embossed his bow tie – bit hard to see from the photo), needle and thread. Dani, this is so sweet. Love the textures, the pearls and detail.